Hello there! 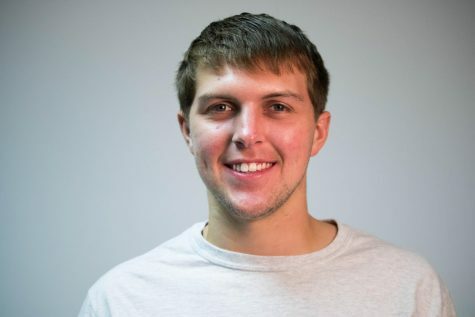 My name is Tanner Frost, and I’m a sophomore from Boone, Iowa. I’m a Digital Media major with a minor in Theatre, and will be acting as the Tack's sports editor! I’m also acting as a Sports Director for KBVU this year, the campus’ radio station. I love all things sports, especially related to the Pittsburgh Steelers, Chicago Cubs, Iowa Hawkeyes, Arsenal, and most especially the Buena Vista Beavers. I play Middle Linebacker for BV’s football team as well, and am looking forward to an exciting season! If you see me around, you can talk to me about sports, video games, music, books, and just about anything. Go Beavers!